Feeling uninspired? Has the clutch of your imagination disengaged? Wrestling with a vexing problem/question/issue for which the obvious solution feels two steps beyond the infinity point? My suggestion: clean up those brushes and dust off the easel; warm up the keys/strings/vocal chords, spit valves; lace up your ballet slippers or tapdancing shoes; or ponder the purpose of it all through the rhythm and verse of your inner Plath or Wordsworth. A dive into the arts – practicing, not just appreciating – opens the mind through a curious cocktail of opposing dynamics: it relaxes the mind while demanding concentration. The space junk of stuff that absolutely needs done today floating constantly around our craniums is blown out long enough to permit the ganglia to relax and reassemble, allowing synapses to form and fire in new and auspicious configurations. Okay, so this is pure speculation on my part and most surely BS, but it feels like that after an hour at the piano. Einstein said “At times I feel certain I am right while not knowing the reason.” Good enough for him, good enough for me. Our man Albert was also a believer in art as a catalyst to broader, deeper thinking. 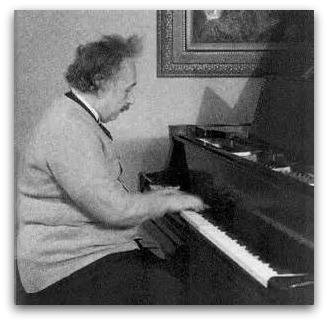 He was an accomplished pianist and violinist and claimed that “The greatest scientists are artists as well;” that creative breakthroughs came more from inspiration than logic. “The gift of imagination has meant more to me than any talent for absorbing absolute knowledge.” What better way to stimulate our imaginations than through art? Members of the ‘60s supergroup The Doors were also creative giants of their time; musical polyvants who collectively married extraordinary talent with a fascination in musical genres far afield from 3 chord rock & roll. What inspired this genius? For one thing their interests with art ranged well beyond music. Ray Manzarek and Jim Morrison studied film at UCLA and Manzarek was a writer, publishing 2 novels in the post Doors era. And drummer John Densmore’s career extended into professional dance and acting. For a remarkable peep into a creative process in-process, I offer an edited audio clip (click Light My Fire to listen) of Ray Manzarek explaining the group’s writing of “Light My Fire” to Terry Gross on a 1998 NPR edition of Fresh Air. Take equal parts great melodic song writing by guitarist Robby Kreiger, the interweaving latin and jazz rhythms adapted by Densmore, Manzarek’s gift for finding the cohesive balance (plus bringing in the Bach-inspired into and outro), and finally Morrison’s aggressive lyrical brilliance (the time to hesitate is through), at once direct and dangerous to the teenage girls hanging on every word. Why my fascination with open thinking and creativity? I am in the course of creating and executing on a grand vision plan, that blueprint for a deeply meaningful venture, and I’m often stumped on definition and strategy. Beyond the happy stardust of napkin plans and broad ideas, what EXACTLY am I selling and how? This uncertainty is typical of intérpreneurial (and entrepreneurial) planning, something with which my MBA students wrestle constantly. The art-immersion strategy – in my case songwriting and recording – is effective for unclogging my congested imagination, the perfect laxative for a constipated brain. My 2012 Last Night at the Ha-Ra project (click here to listen) provided more than just a musical outlet last year. The songwriting activity, draining as it was, demanded an open, expansive mind that once actuated remained engaged to untangle other mental gridlocks (I have many). If you too hit an inspiration wall from time to time, try on your artist chapeau for an hour or two. It matters less the form of art and your level of mastery, and more the depth of your dive, the sincere commitment for that period of immersion. If you find this exercise helpful, please write, as I am collecting anecdotes of experiences. Also at fault for my current art obsession is the Musée Granet in Aix-en-Provence. It is hosting Le Grand Atelier du Midi (the great workshop of the south; click here to see more) this summer and fall, and the works on display are wondrous. 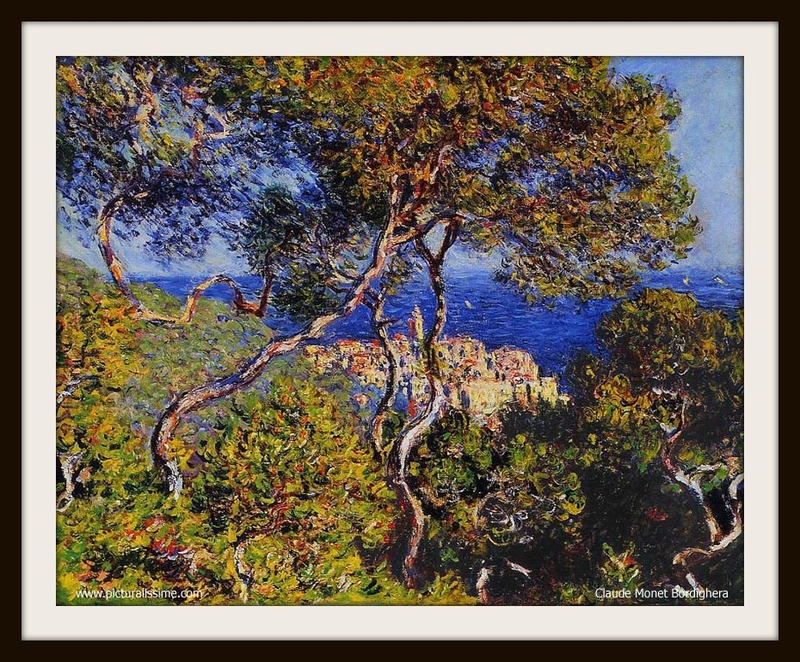 The exhibit is a celebration of painters who captured the charms of Provence on an impressionistic canvas, from Cezanne through Dali and all stops along that arc: Renoir, Monet, Gauguin, Van Gogh, Matisse, Braque, Picasso and so many more. If you were looking for an excuse to hit me up for a cool glass of rosé, your timing couldn’t be better! Enjoyed the Impressionists very much. Was at the Brandywine River Museum on Saturday and still in the mood for good art. Good advice to unblock. I usually find myself in the garden for inspiration. Easy to be creative there and I often loose myself for a while planning and planting. workforce of dedicated persons conserve lifetime of an dolphin termed Winter. within the purpose involving Dr. Cameron McCarthy and his assistant will be Ashely Judd. Dolphin Tale only two is really a flick which usually mentions 2 dolphins. Among the dolphins is a mom to your youngster dolphin called Wintertime. months a whole new mom.